Rockhurst University Press is the publishing arm of Rockhurst University, a Jesuit and Catholic university located in Kansas City, Missouri. 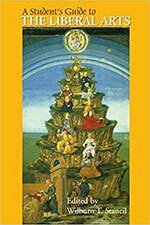 A charter member of the Association of Jesuit University Presses, Rockhurst University Press publishes books in a wide range of disciplines such as religion, history, and the humanities. For information about publishing with Rockhurst University Press, please see our manuscript submission guidelines. Edited by Daniel S. Brown, Jr. 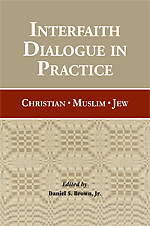 Written from a communication perspective, Interfaith Dialogue in Practice provides useful strategies for increasing understanding among the three Abrahamic religions—Christianity, Islam, Judaism. Authentic dialogue is as concerned about communication as it is theology. Contributors to this volume write from their experience as communication experts personally engaged in the challenges of interfaith dialogue. In a rapidly diverse and increasingly secularized culture, how will the Roman Catholic Church, an institution steeped in tradition, respond to the challenges of the 21st century? 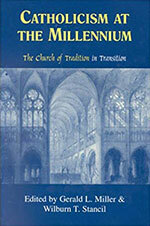 From the perspective of theology, biology, economics, sociology, music, history, and language, Catholicism at the Millennium explores crucial issues facing the Catholic Church at the start of the third Christian millennium. Veteran faculty from colleges and universities across the country initiate students into the study of the humanities through 13 disciplines--communication, language, literature, music, art history, history, psychology, sociology, political science, philosophy, religion, mathematics, and science. Ideal for use in Freshman seminar courses. For a century Rockhurst University has stood for excellence in learning, leadership, and service. 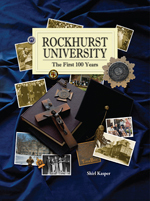 Rockhurst University: The First 100 Years documents the story of the struggles and triumphs of Rockhurst, from its modest beginnings in 1910 to its current status as a comprehensive university. The 416 page book features almost 400 color and black-and-white photographs, illustrations, historical documents, and sidebars, in addition to a complete index of people, places, and events. Ideal for alumni and friends of Rockhurst or anyone interested in the history of Kansas City and Catholic beginnings in the region.